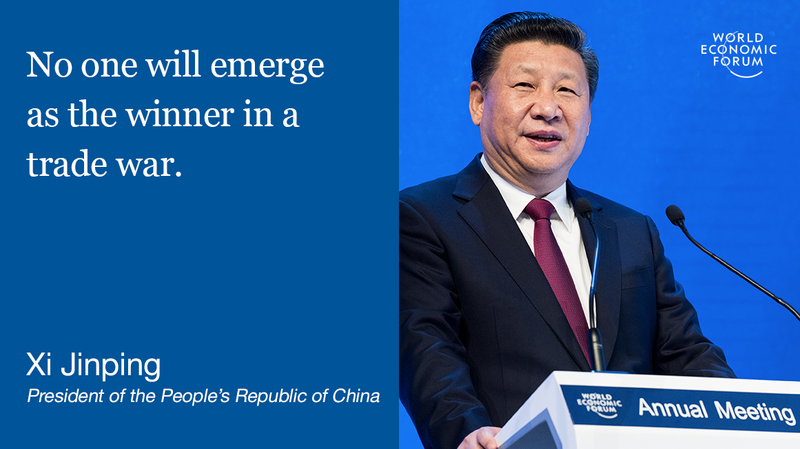 China’s President Xi Jinping defended economic globalization in his first speech to the World Economic Forum at Davos. At a time when protectionist and nationalist forces are on the rise in the West, President Xi warned against making globalization a scapegoat. However, the world’s problems could not simply be laid at globalization’s door, from the “heart-breaking” refugee crisis to the financial crisis. “The international financial crisis is another example, it is not an inevitable outcome of economic globalization, rather it is the consequence of the excessive chase of profit by financial capital and a great failure of financial regulation,” he said. After 38 years of reform and opening up, China has become the world’s second-largest economy. “China’s development is an opportunity for the world. China has not only benefited from economic globalization but also contributed to it,” he said. Looking ahead, President Xi warned against protectionism. "China has no intention to boost its trade development by devaluing the Renminbi still less by launching a currency war"